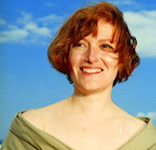 Mary Robinette Kowal was the 2008 recipient of the Campbell Award for Best New Writer and a Hugo nominee for her story “Evil Robot Monkey.” Her short fiction, including “Rampion” and “Bound Man,” has appeared in Strange Horizons, Asimov’s, and many other markets. Mary, a professional puppeteer and voice actor, lives in Portland with her husband Rob and nine manual typewriters. 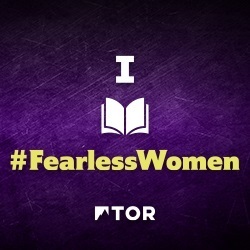 Listen to some of her audio fiction at Mary Robinette Kowal’s website. 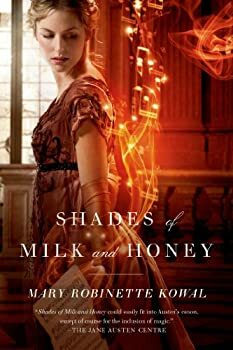 Shades of Milk & Honey — (2010-2015) Publisher: Shades of Milk and Honey is exactly what we could expect from Jane Austen if she had been a fantasy writer: Pride and Prejudice meets Jonathan Strange & Mr. Norrell. It is an intimate portrait of a woman, Jane, and her quest for love in a world where the manipulation of glamour is considered an essential skill for a lady of quality. Jane and her sister Melody vie for the attentions of eligible men, and while Jane’s skill with glamour is remarkable, it is her sister who is fair of face. When Jane realizes that one of Melody’s suitors is set on taking advantage of her sister for the sake of her dowry, she pushes her skills to the limit of what her body can withstand in order to set things right — and, in the process, accidentally wanders into a love story of her own. 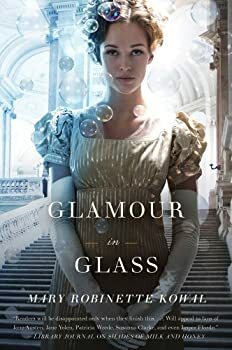 Glamour in Glass in a fast-paced magical adventure set in the Regency period, during the Peninsular Wars. 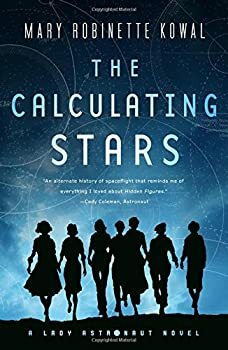 This is Mary Robinette Kowal’s second book in her series that started with Shades of Milk and Honey. Kowal captures the language and sensibility of Jane Austen’s era exactly. Jane and Vincent, both accomplished glamourists, have been married for three months. After Jane struggles to get through a nerve-wracking state dinner hosted by the Prince of Wales, she discovers that the prince has offered them a honeymoon trip to Belgium. Vincent is eager to go because he wants to discuss his new glamour, a sphere that creates invisibility, with one of his old glamourist friends. Napoleon has accepted exile on Elba and things are peaceful, so Jane and Vincent decide to go. 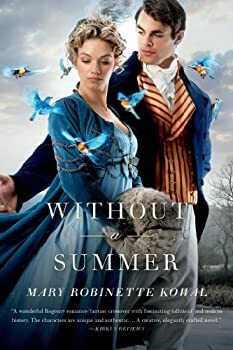 Without a Summer is the third book in Mary Robinette Kowal’s GLAMOURIST fantasy series set in an alternative Regency-era England where magic, or "glamour," is used as an art form to create intricate visual illusions. Jane and Vincent, both accomplished glamour artists, are visiting with Jane’s parents and younger sister Melody in the country. It’s an unseasonably cold spring, giving rise to concerns about the harvest. Jane and Melody’s father is concerned that a poor harvest could affect his ability to provide Melody with a suitable dowry; Melody is frustrated with the dearth of interesting and marriageable men in the area. Valour and Vanity: Pirates, Puppets and Lord Byron! 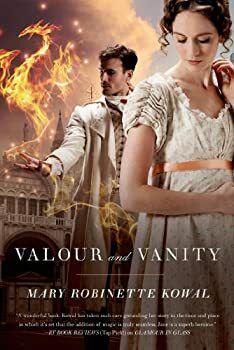 Valour and Vanity is the fourth book in Mary Robinette Kowal’s series THE GLAMOURISTS. This time our husband-and-wife team of heroes, David Vincent and Lady Jane Vincent, are stranded, penniless, in Murano, victims of a predatory swindler who hopes to sell their secret glamour process to the highest bidder. To stop this from happening, Vincent and Jane must out-swindle the swindler. Yes, that’s right; set during the British Regency, this book is a caper book. So, hmmm… Do I write a conventional review, or just give you a list of some of the things you will encounter in the book? Well, here’s the list, in no particular order. 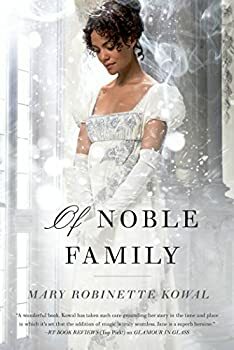 With Of Noble Family, Mary Robinette Kowal brings to an end her GLAMOURIST HISTORIES series, set in a fantastical English Regency period. While the book resolves several issues in the lives of Jane and David Vincent, there is no feeling of “winding down.” The book is suspenseful, filled with surprises and real stakes for Jane and her beloved, troubled husband. Elma York has a PhD in physics, and her husband has one in engineering. They are enjoying a much-deserved weekend getaway in the Poconos in 1952 when a huge meteorite destroys Washington DC and much of the North American eastern seaboard. Experts fear the aftermath will create an extinction-level event, and this accelerates the race to the stars. Elma has a front row seat, but she wants more; she wants to go into space. 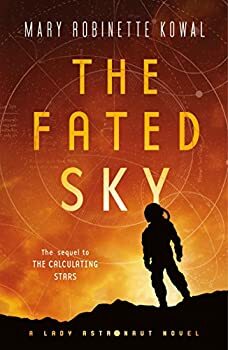 The Fated Sky (2018) wraps up Mary Robinette Kowal’s LADY ASTRONAUT duology, covering the ground from the first peopled space flight ever to a peopled mission to Mars. 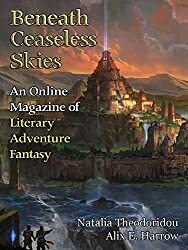 Kowal has created an intriguing and exciting alternate history and there is nothing to stop her from writing more stories and books in it (more will be coming), but The Fated Sky completes Dr. Elma York’s pursuit of her dream. 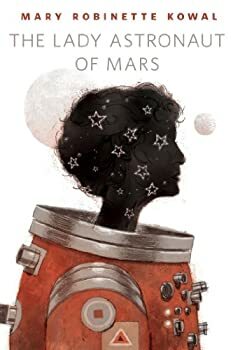 The Lady Astronaut of Mars, which won this year’s Hugo Award for best novelette, moved me. It was well-structured, all the ends tucked in and callbacks in the right places. It used symbolism and literary reference and pointed to issues of the human condition at large, like career versus family. All of this would usually add up to five stars from me, particularly since the author has as beautiful a voice on the page as she does when she speaks. 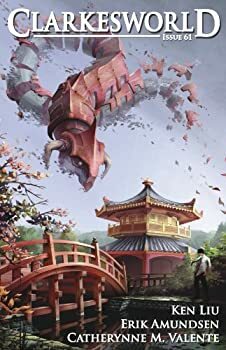 It's the kind of strongly written, human story that wins Hugos, and it reminded me Mike Resnick's "The Homecoming," also Hugo-nominated (though that one didn't win). 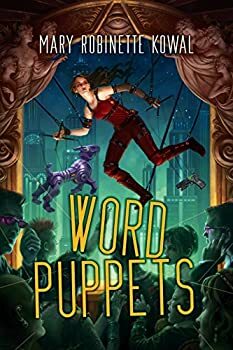 Word Puppets is a collection of Mary Robinette Kowal’s short fictions. 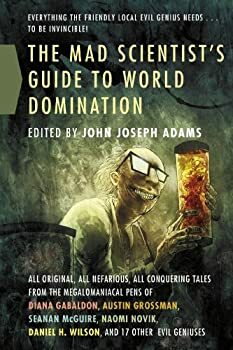 Fans of her GLAMOURISTS series will find not a single one in its pages, and many of these tales are science fiction, with several stories set on Mars. Patrick Rothfuss provides a humorous introduction, and tells us that these nineteen works are in chronological order. This gives the reader a chance to see Kowal’s development as a story-teller. I am not going to review all nineteen. 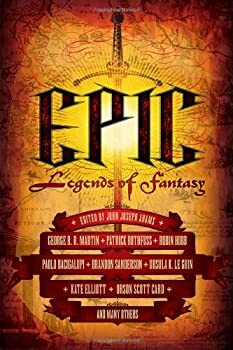 I will discuss the stories I liked best or found most interesting, with one exception; there is one story that was not successful for me. Mary Robinette Kowal leaves behind the British Regency period in Ghost Talkers (2016), setting this paranormal tale during World War I. The British have learned that spiritualism is real, and they are using a circle of mediums to interact with the spirits of recently killed British soldiers, who seek out the mediums to provide whatever information they can from the scene of their deaths. Ginger Stuyvesant is an American medium, engaged to a British intelligence officer, and the main character of this action-packed paranormal spy drama. 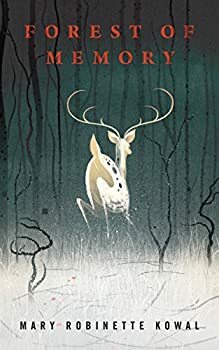 A story set in the future about an ‘authenticities’ dealer, Forest of Memory is set in a culture where everyone is connected by an omnipresent internet. The main character has a personal AI who is always listening and also recording and broadcasting the life of the protagonist. Mary Robinette Kowal then thrusts the main character into a situation where none of her technology works. 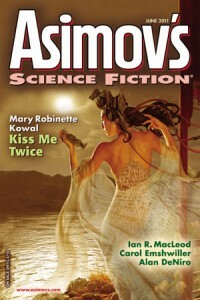 The June 2011 issue of Asimov’s Science Fiction has a beautiful cover of a woman who is partly constructed of a gold metallic weave. The artist, Jacques Barbey, poses her at the shore of a river or lake golden with the sunset, wearing a headdress that appears to be functional in some way, apparently as a weapon. It doesn’t seem to match up to any of the stories in this issue, but it is a lovely image all on its own. And who says fantastic paintings need to refer to anything but the artist’s own imagination, anyway? I do not envy the awards panel for the Nebula Awards this year. There are two excellent novellas equally deserving of the award in that category. Scenting the Dark and Other Stories — (2009) Publisher: These things await you: Love and hope in the aftermath of a very personal environmental apocalypse. Fear that comes in being trapped in your own body, enslaved by your own faulty synapses. Dread in a cure that works in unexpected ways. Discovery of what you’ve always known, but couldn’t face, about your own lover. Explore these and more in the seven beautiful, wounded landscapes of Scenting the Dark, the first collection from Campbell Award-winner Mary Robinette Kowal. Her lean, vigorous style has been satisfying readers since 2006, including multiple appearances in Year’s Best lists. The stories here lay bare the ways we try to prevent, contain and repair the damaged world around us, the further harm we can cause by trying, and why every moment of joyous, defiant struggle is worth it — if you have love enough, and hope. 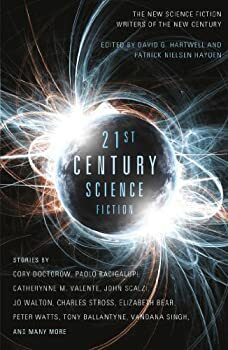 “For Want of a Nail” — “For Want of a Nail” is the 2011 Hugo-nominated story by award-winning author, Mary Robinette Kowal. This science-fiction short story explores the complex choices that an AI and her wrangler must make to solve a seemingly simple technical problem. Also in this edition, is bonus material that includes author’s notes as well as a look at the writing process. The original and unedited first draft of this story has a completely different plot. Read it and the brainstorming notes to get a peek into the creative process. CLICK HERE FOR MORE BY MARY ROBINETTE KOWAL. 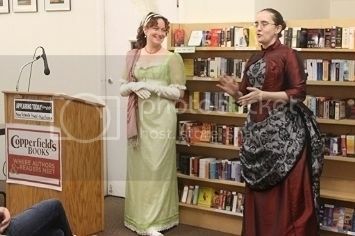 I had the chance to see Marie Brennan and Mary Robinette Kowal at Copperfield's Books in Petaluma California on May 7. I have a signed copy of Kowal's Of Noble Family and a signed copy of Brennan's Voyage of the Basilisk to give away to one lucky random commenter with a U.S. address. Mary Robinette Kowal (left, with egret feather) and Marie Brennan take questions from the audience.